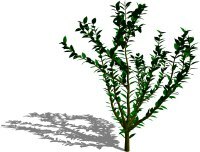 • Stunning professional quality models and pictures of trees and fantasy plants. 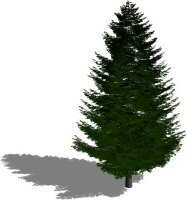 • A library of over 100 tree types and species. • As many trees per species as you can imagine. 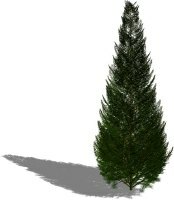 • Customize trees with textures and view them from any direction. • Very easy to use. No training required. • Designed specifically for use with Mac OS X. • Simple yet realistic shadows that may be saved separately. • Alpha layers for use with image editing applications. • Imports BMP, JPEG, PSD, PICT, PNG, QT, TGA, SGI and TIFF formats. 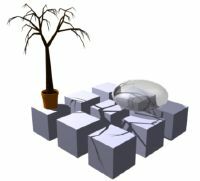 • Exports the above plus OBJ, VRML, DXF, ASCII and LSB 3D formats. • Lightning fast algorithms making full use of your graphics card. • Mac OS X 10.3 or above. • QuickTime 6.0 or above. • 300 MB of hard disk space. • 256 MB of RAM recommended.